Halvah and Halwah: What’s The Difference? Learn more about what distinguishes these ancient desserts. If you looked at the title of this post and thought, “Wait —aren’t they the same thing,” you’re not alone. I also always assumed that halvah and halwah were the same sweet sesame treat, just spelled differently. And apparently so did Khushbu Shah, who describes in a piece on TasteCooking.com how she assumed the pudding-like halwah of her childhood was the same kind her college roommate had brought back from Israel. Halvah is a Middle Eastern sweet, almost like candy, made from tahini and honey; halwa, while also a dessert, is South Asian and more akin to a pudding, made with ghee, sugar, and flour cooked on the stove until thick and creamy. I emailed Ken Albala, a food historian and professor at the University of the Pacific, who had a surprisingly simple explanation. 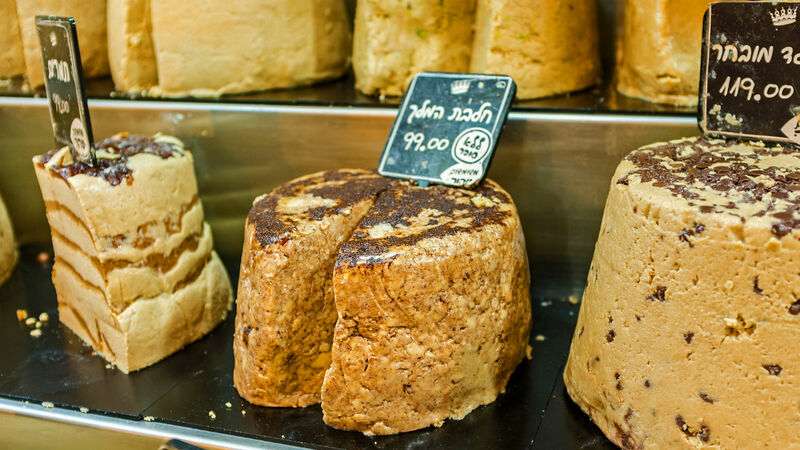 He believes the word “halva” (as well as the dish itself) is Persian or Arabic in origin and simply means a sweet, semisolid fudge that can be made from practically anything. Albala believes the dessert traveled to India and Pakistan with the Mughal empire and flourished with local ingredients like carrots. In Greece and Turkey, halvah is usually made from semolina and honey. Israeli halvah’s sesame base can be attributed to trade routes. “Sesame is native to Africa and was imported to the Middle East via Egypt and then grown in the Middle East. So you find it in the cooking a lot, like tahini.” Sesame was never quite as plentiful in South Asia, making alternative ingredients more popular. Now that we cleared that up, it’s time to cook, of course. Make some classic Israeli-Style Halvah or try the more pudding-like Indian Cardamom Carrot Halwah. Check out these 10 Halvah Recipes From Around the World. Or try some Gluten-Free Halvah Brownies. You won't miss refined sugar or butter with this sweet treat featuring cinnamon and cardamom-spiced nuts covered with honey syrup. This everyday Egyptian condiment is comprised of nuts and a diverse array of seeds, spices, herbs, sea salt and pepper. The addition of Middle Eastern spices gives this challah a subtle flavor that is perfect with a savory meal.